LONDON - Six people were killed when a rubbish lorry ran out of control and careered down a pavement crowded with Christmas shoppers in Glasgow, Scotland, on Monday, people, police said. "Sadly, six people have died as a result of the George Square major road incident," Police Scotland said on Twitter. A police spokesman had earlier said that at least seven people were seriously injured and the number might rise. One witness told Reuters the truck appeared to have run out of control along a pavement in the city centre shopping area, close to fairground attractions and an ice rink set up for the Christmas holiday. George Ieronymidis, 58, owner of the nearby Elia Greek restaurant on George Square, said the truck had lost control, and mounted the pavement, striking people at a "very busy" road crossing before crashing into a hotel building. "My thoughts are with the families of those involved and the emergency services," British Prime Minister David Cameron said on Twitter. 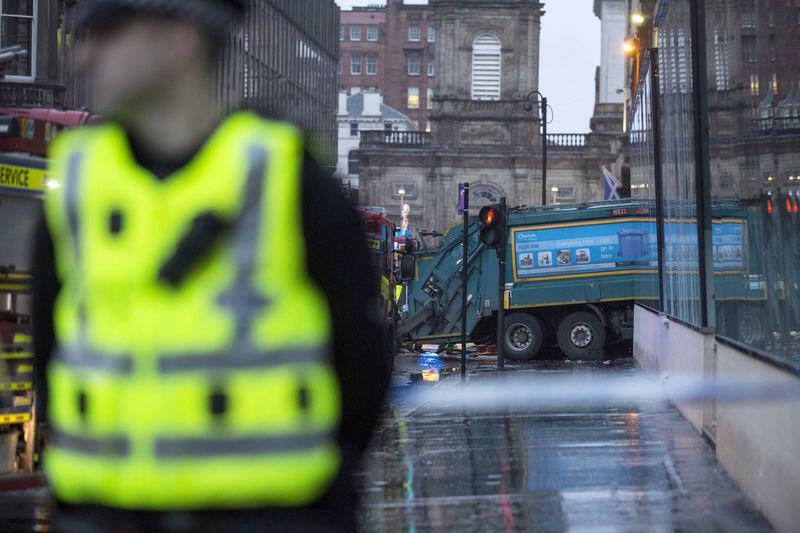 A refuse truck that crashed into pedestrians in George Square, is seen after the incident, in Glasgow. Emergency services personnel walk past a refuse truck that crashed into pedestrians in George Square. 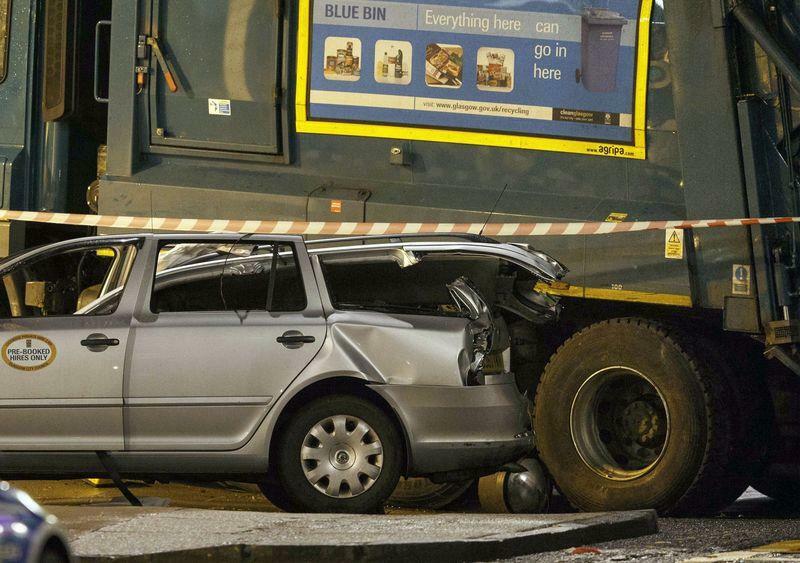 Emergency service workers stand near a refuse truck that crashed into pedestrians. 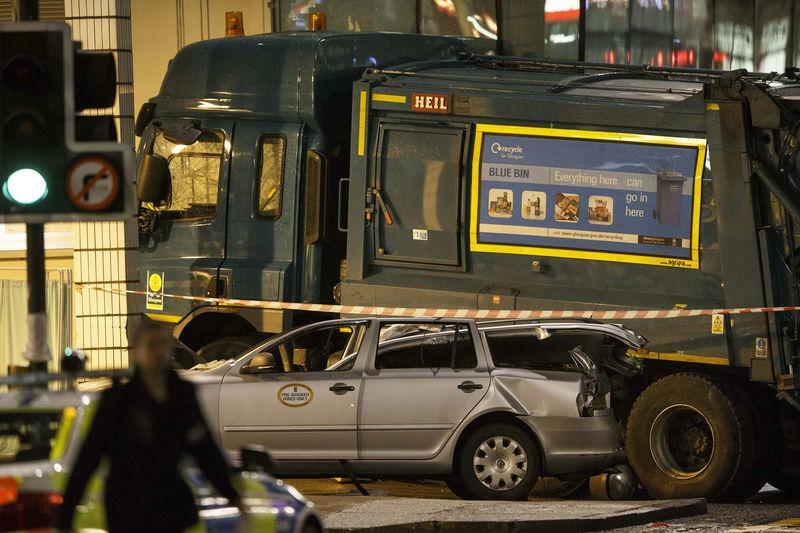 A policeman stands near a refuse truck that crashed into pedestrians. 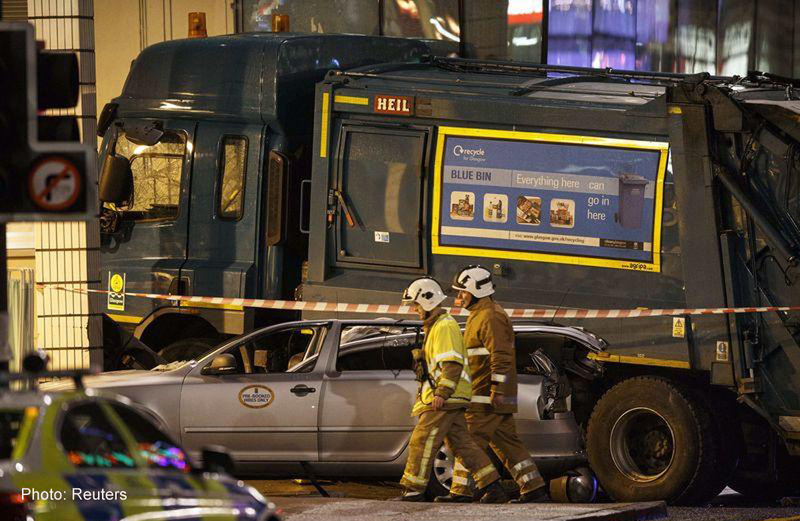 Rescue services personnel walk past a refuse truck that crashed into pedestrians. The police spokesman, referring to the possibility that the incident was an attack, said: "It's a terrible incident but we don't believe that there is anything at this juncture that is sinister about the accident." Television images showed a large green truck at a standstill by buildings outside Queen Street train station. Two witnesses on a tour bus said the driver of the truck had been slumped over the steering wheel as it ploughed down the street, Ieronymidis said. The police spokesman said the driver was receiving treatment in hospital. 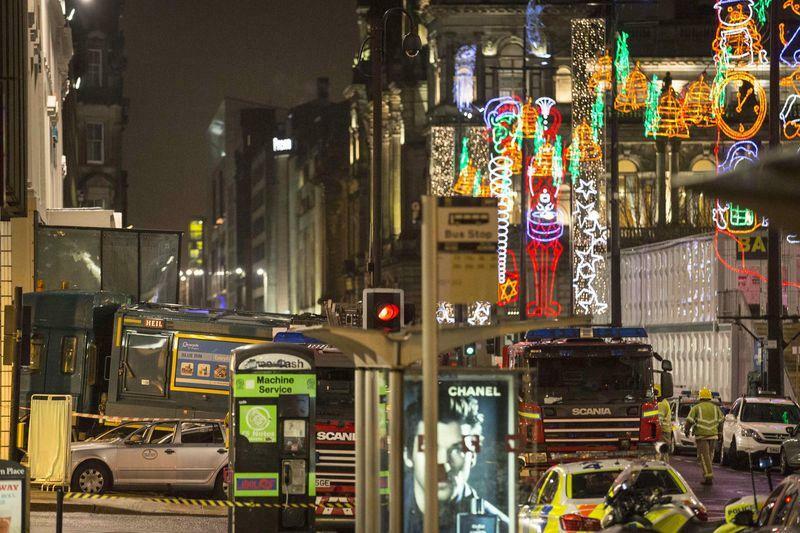 It was the second pre-Christmas tragedy to have hit Scotland's biggest city in two years. Just over a year ago a police helicopter crashed into the roof of a packed Glasgow pub, killing a total of 10 people.